Is your Drum in Need of Repair? 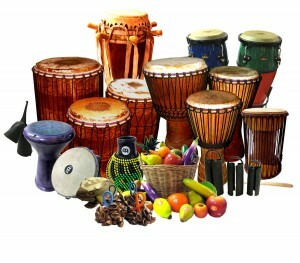 We at Everybody Drum have the best selection of Djembe’s from Mali, Guinea, Ivory Coast, Senegal, and Ghana. With every purchase of a drum, you receive a free tuning / playing lesson. Drums vary in price according to carvings, size and construction. Drums featured in our shop are Djembe, Ashiko, Bougarabou, Doun Doun, Talking Drum, Doumbek, Steel Drum, Spring Drum, Bata, Quica, Conga, Mini Conga, Bongo, Riq, Tambourine, Tongue Drum, and REMO© Drums. We also offer a wide variety of Percussion instruments, Maracas, Shakerman Shakkas, Shekere, Wood Blocks, Frogs, Guiro, Cow Bells, Toke, Agogo, Ankle Bells, Rainsticks, Spoons, Udo, Singing Bowls, Gongs, Vibra-tone, Joia Tubes©, Drum Straps, Stands, and Bags. Please visit us to enjoy the World’s Greatest Percussion Shop! Currently available for Drum Circles, Drum Lessons (Djembe, Ashiko, Bougarabou, Conga), Art Instruction (Drawing, Color Theory, Portfolio Building), Graphic Design, Facilitation (through art and or rhythm), Community Networking, Parties, Recording Studio, and Charities. We have been selling, building and repairing drums for over 20 years! To order drums and percussion for your school, recreation center or care facilities please contact Ken Crampton (540) 371-9040. What type of drum are you looking for? There are many shapes, sizes, and membranes to choose from, please visit the membranophone page. What? There is something other than a drum? 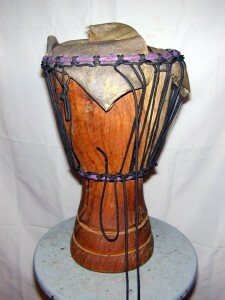 A drum circle would be incomplete without the shakers, scrapers, wood, and bells, beyond the idophones, there are melodic percussion instruments. 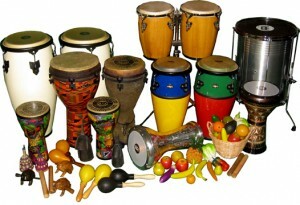 Please visit the choosing a percussion idiophones page. Choosing a drum or percussion instrument is something everybody should do, I subscribe to the vision of Babatunde Olatunji who said “My dream is every house and family should have a drum.” Baba was an African who came to the U.S. in the 50’s, he produced many records and taught thousands of people about African Heritage, Lore, and Music. He was the Dala Lama of Africa, he was able to teach drumming and also inspire societal change through the metaphor of music.